Today’s blog is my contribution to an ongoing blog hop. Last Monday Ute Carbone wrote about her writing process at http://ute-carbone.blogspot.com and passed the blog hop torch to me. Why do I write and what am I working on? I write because I enjoy creating and telling stories. My books go through several phases: idea, outline, first draft, finished draft, and then edit, edit, and edit. I’m doing the first draft of the third book in my Truth-Teller series. My meticulous wife is doing the final proofreading of Goldbach’s Conjecture. I wrote this thriller about a National Security Agency geek and high-frequency trading four years ago. I’m also in the outline phase of Magellan’s Pilot, which is a complete rewrite of my first (unpublished) novel. Usually I work on one project at a time, but I want to clear out some old manuscripts. How does my work differ from others in its genre? I strive to be different through setting, characterization, and writing style. The worlds of most sci fi novels have limitless energy. Cary and Krin in Truth-Teller Rebellion have only solar, wind, and hydro energy, while an ice age grips their world. As to writing style, many have commented on my vivid descriptions. How does my writing process work? A work starts with an idea. I come up with these all the time. Some percolate in my mind for years. Before they graduate from idea to book, I must love the idea, be willing to spend six months writing the book, and even more months editing it. I also ask if the book is marketable and does it fit with my existing works. Ultimately, my passion for the book is the deciding factor. Upon deciding I will pursue a premise, one of my first decisions is whether to write the book in first or third person and from whose point-of-view(s). Then I do a rough chapter-by-chapter outline. Outlining is essential for me. It’s when I work out all the kinks in the plot, which helps me avoid excessive rewriting. Without an outline, I’ve seen writers back themselves into a literary corner, and have to use unrealistic shenanigans to get their novel moving forward. Once the outline is set, I write. The actual act of writing I liken to doing a painting. A painter doesn’t start in one corner of the canvas and expand from there. Similarly, I don’t attempt to do write an entire scene with exposition and dialog at once. First, I write down the main events of the scene and any reveals I want to make. Then I write dialog along with a few key actions. Dialog is the backbone of my books. Readers rarely skip dialog, although they may skip exposition. I know I skip over the menus in the Game of Thrones series. Conflict between characters is the key to a story, and dialog unlocks that conflict. I don’t typically write scenes sequentially. When writing I place myself in the head of the point-of-view character in each scene. For me skipping from one character’s head to another is too schizophrenic. For example, in the TTR series Cary is my main protagonist, although his sister Krin also has a major role. For continuity, I’ll write a series of Cary scenes and then write a series of Krin scenes even though these scenes or chapters are interspersed in the final product. I’m goal oriented, so I keep a log of words written. I shoot for a thousand a day, but actually average around five hundred while writing a first draft. I want to get the first draft finished while everything is fresh in my head. Once the first draft is finished, I edit, edit, edit. My objective is to finish the novel. It’s easy to start a novel, but a lot of work to finish one. The writing process blog hop jumps to Audra Middleton next Friday, April 25th. I’m looking forward to learning about her writing process at http://www.audramiddleton.com. Audra Middleton is the mother of three boys and the author of three books: Watcher, Hitchhiker, and Abomination. Her Facebook page is http://www.facebook.com/AudraMiddletonAuthor. I recently read Audra’s Hitchhiker and thoroughly enjoyed it. I’ll be posting a review of it later this week. What I liked most about this book was how intelligently the characters respond to the dangerous situations they find themselves trapped in. I may not have always understood why they made certain choices, but Cary and Krin were written in such a way that they honestly act and sound like two teenagers who grew up herding cattle on the steppes. They know how to react quickly in a crisis and are clearly used to thinking creatively and making the best of their resources. The complete review is at http://www.longandshortreviews.com. Go to the review tab and then pick sci-fi/fantasy. 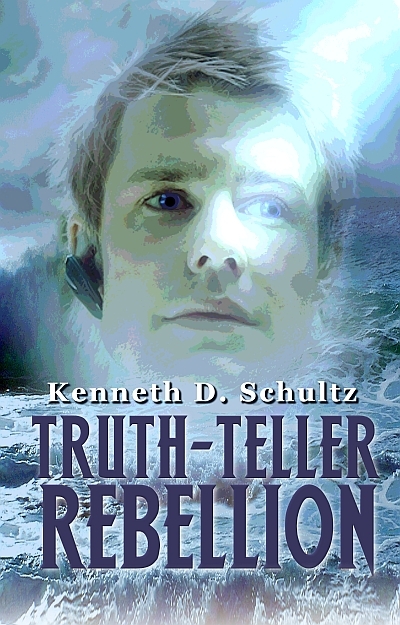 Truth-Teller Rebellion is once again available for purchase as an e-book on Amazon, from my publisher at www.champagnebooks.com, Barnes & Noble, and other e-book sellers. More great news! 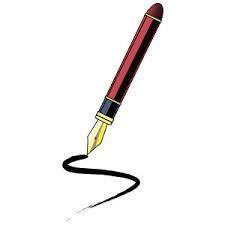 I’ve signed a contract with Champagne Book Group for Rebellion’s sequel. Truth-Teller Revenge will be released in November.